Posters have been handed out in a city suburb today as detectives re-appeal for information on the murder of a young dad stabbed to death in a Sheffield street. 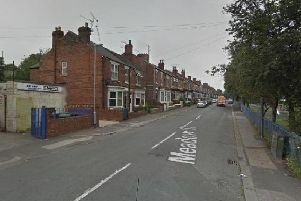 Four weeks ago today 22-year-old Jarvin Blake was attacked at the junction of Catherine Street and Brackley Street, Burngreave, in what detectives are treating as a targeted attack. Today, police officers and detectives have returned to the murder scene and surrounding streets looking for witnesses and people with information on the killing who may not yet have come forward. They have handed out posters and leaflets in a range of languages in the hope that their plea for information will reach everyone in the community. Four men have been arrested over the murder of the dad-of-three, whose children are all under five years old, but nobody has yet been charged. Jarvin, from Gleadless, was stabbed after a car pulled up alongside him and he was chased by a number of men who jumped out. His friend he was with at the time was also injured but survived.